The Pedrolino commedia mask has been inspired by masks from Bali and is a mask of combined culture. 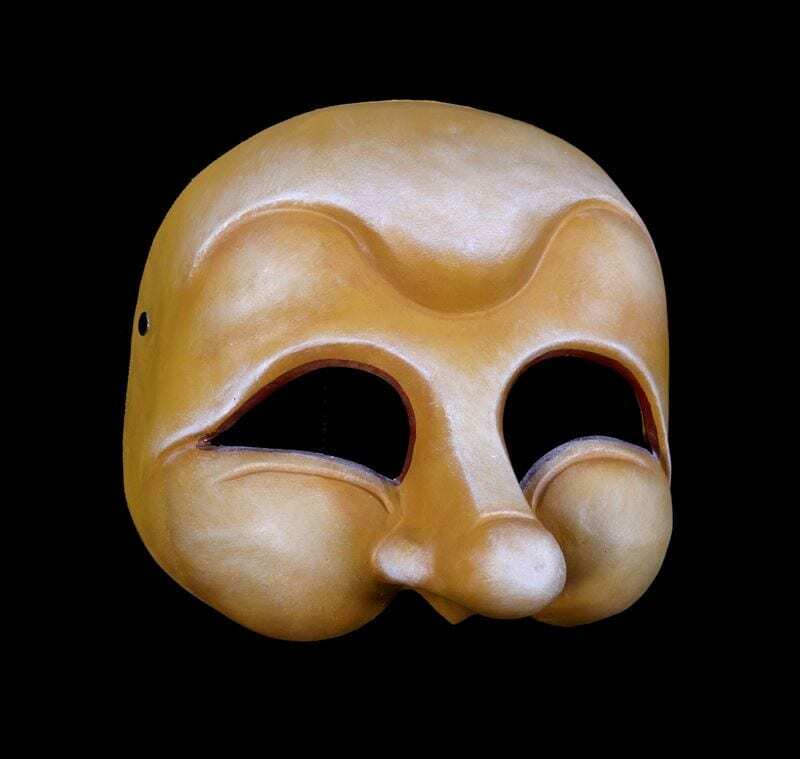 The commedia dell’Arte is a rich form of theatrical expression. The commedia emerged from the dark ages as a broad physical style of comedy. The scenarios poked fun at the upper class and at a humanity that valued money, things and physical pleasures rather than a deep quality of life. 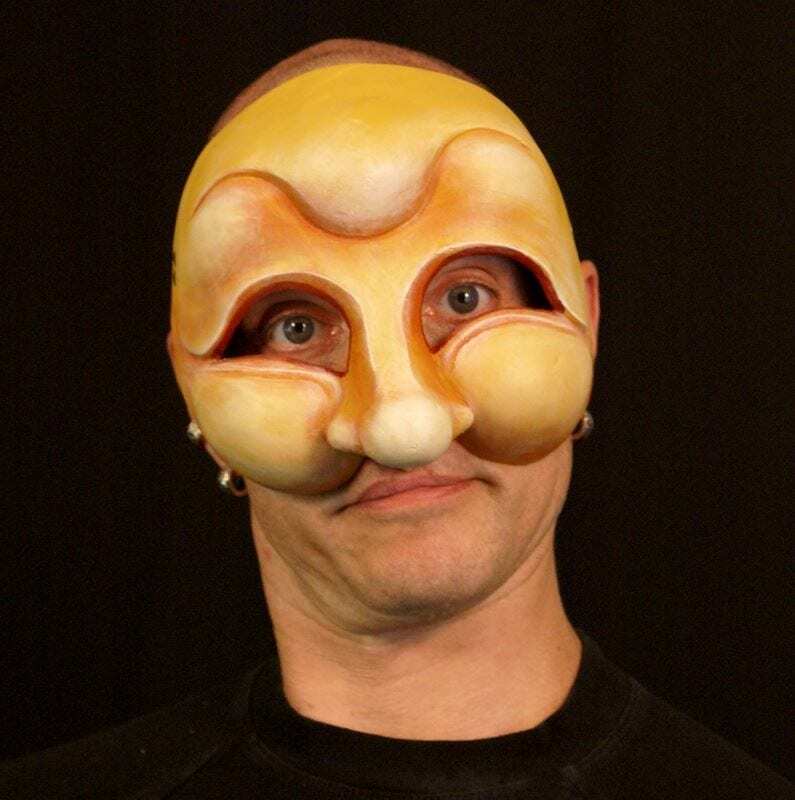 Pedrolino is one of the stock characters of the commedia. He is a simpleminded honest servant. He is depicted as the unsuccessful lover and is most often the recipient of the characters pranks. Pedrolino is a character that became very popular in later French pantomimes under the name of Pierrot.